4. English speaking staff will take care of you! Would you like to go visit other cities outside of Seoul in Korea? 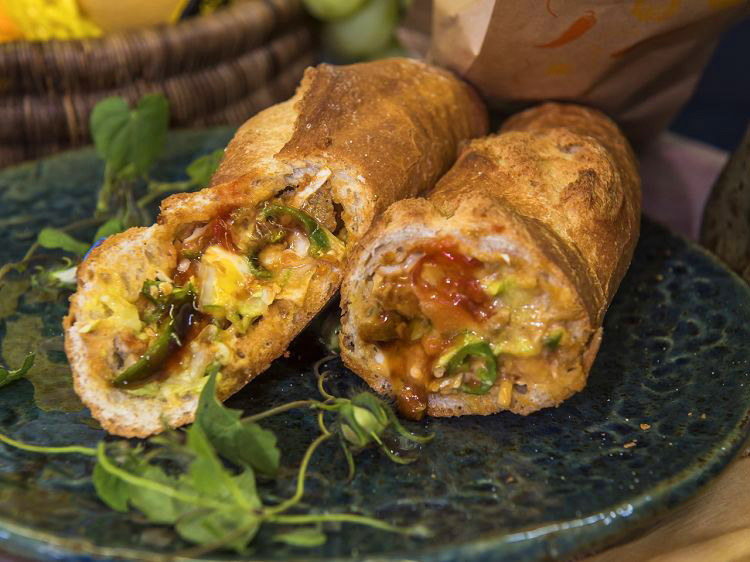 If you like street foods and interested in Korean culture, we highly recommend this tour. 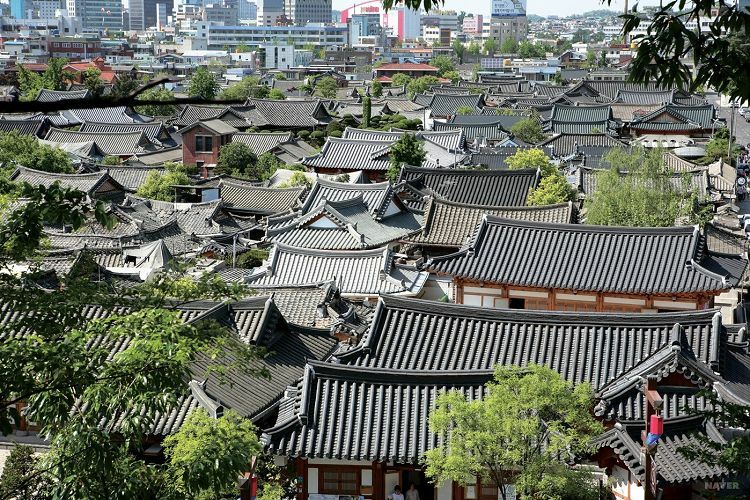 Jeonju is one of TOP 5 must-visit cities in Korea known for its traditional beauty. You can look around Hanok Village. 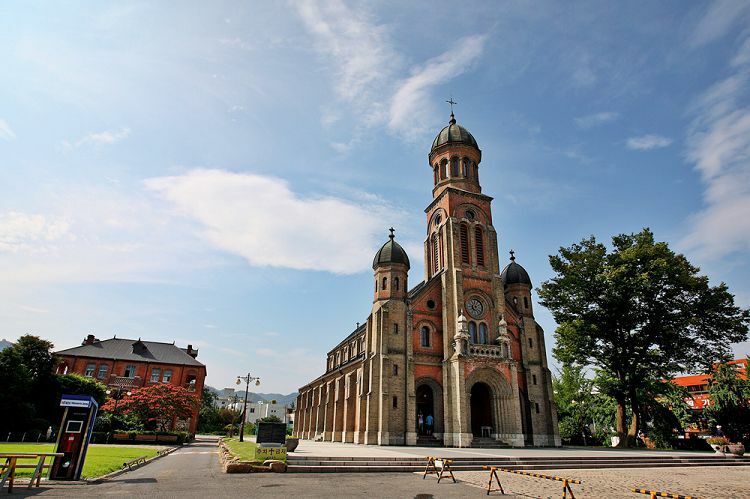 Get off to Jeonju with a guide departing from Seoul without worrying about transportation! Around Gyeonggijeon Shrine, you can take a tour of Jeonju Hanok Village, where the beautiful group of Hanok is placed. Have a look at Hanok that has been transformed into restaurants, Hanbok rental shops, other shops! 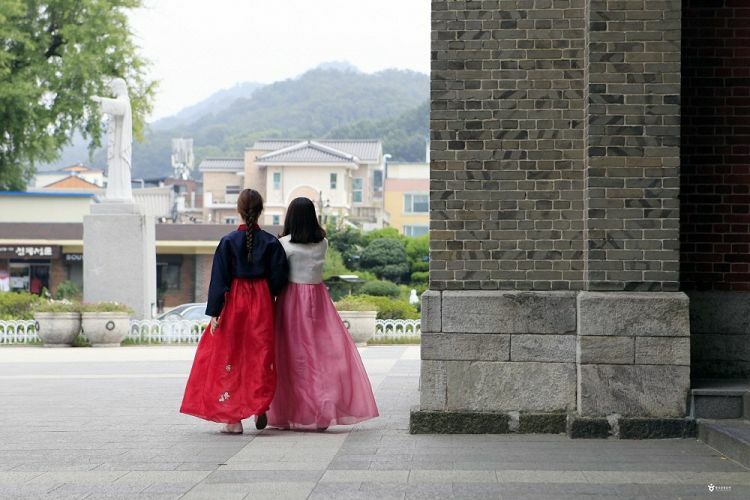 • Try wearing Hanbok and take pictures in Jeonju, the 2nd most visited place after Seoul! • Enjoy a wide range of street foods and specialty food in Jeonju Hanok Village. • Enjoy the surrounding environment at the café with traditional interior inside the Hanok! 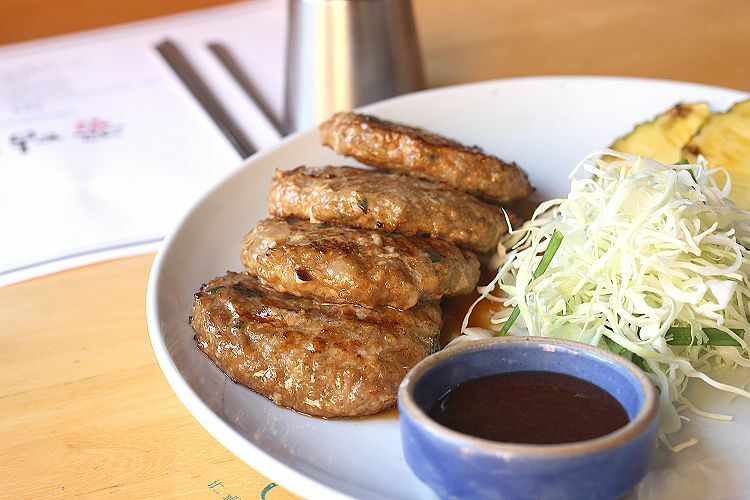 • Be sure to eat Tteokgalbi (Korean short rib patties), a specialty of Jeonju! 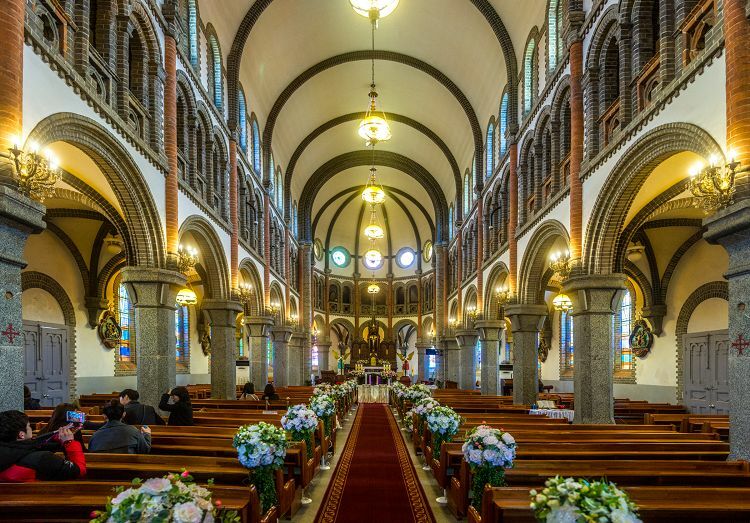 Jeongdong Cathedral Church is built in the late Joseon Dynasty and has been considered the most beautiful cathedral church. Its mixture of Byzantine style and Romanesque style, the construction is loved by many tourists. • No.1 photo spot of tourists coming to Jeonju! • Both the indoor and outdoor interiors are beautiful. 1. Because Jeonju is located far away from Seoul, the schedule may change in Holidays. Q. Can I get off at different place from the boarding place? A. Yes, please inform the guide on the day.